Skye Gravestones | Neil & Christina (McKinnon) Grant. Neil & Christina (McKinnon) Grant. 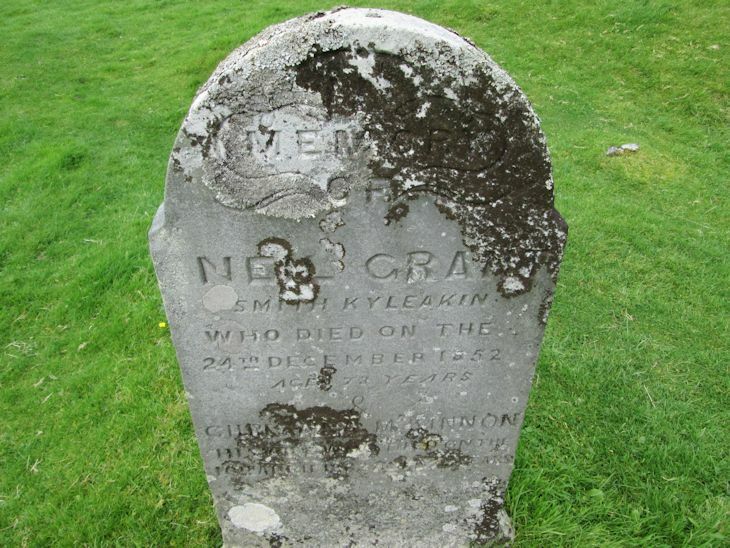 In/memory/of/NEIL GRANT/smith Kyleakin/who died on the/24th December 1852/aged 73 years/&/CHRISTINA McKINNON/his wife who died on the/16th April 186 aged 73 years. Picture Added on 09 April 2014. Wonder if this was same Neil Grant that was born at 1 Lower Breakish . His father was Alexander Grant. Added by Mairi Mckay on 12 September 2017.